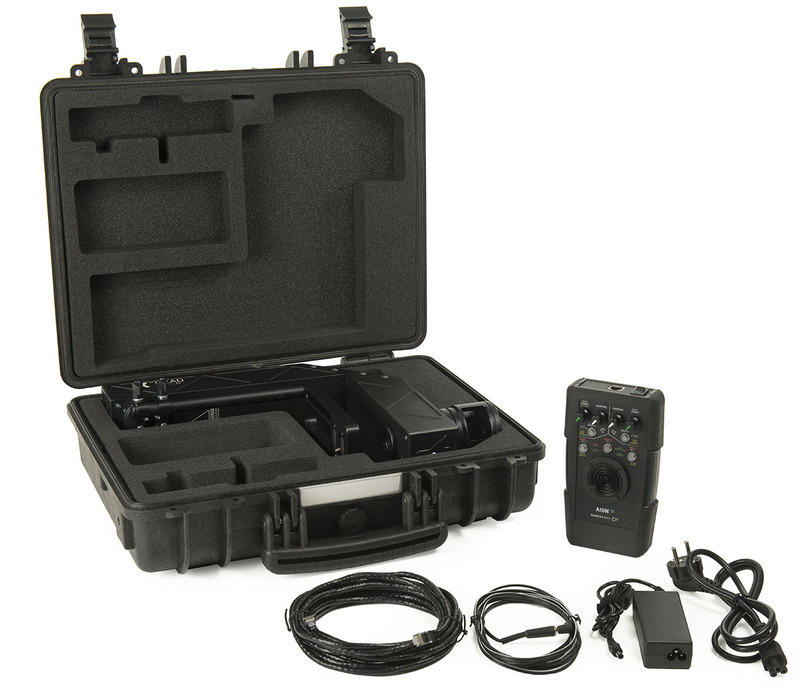 Remote controlled head X HEAD is a device designed to achieve precise rotation of the camera or DSLR in X-axis and Y-axis. X HEAD is dedicated to camera cranes/jibs such as ROAD JIB PRO. The set includes AION 2D wired controller. Thanks to the use of worm gears and steering that maintains steady speed regardless of the load, the head does not require precise balancing. X HEAD is dedicated cameras and DSLR of a total weight up to 8kg. 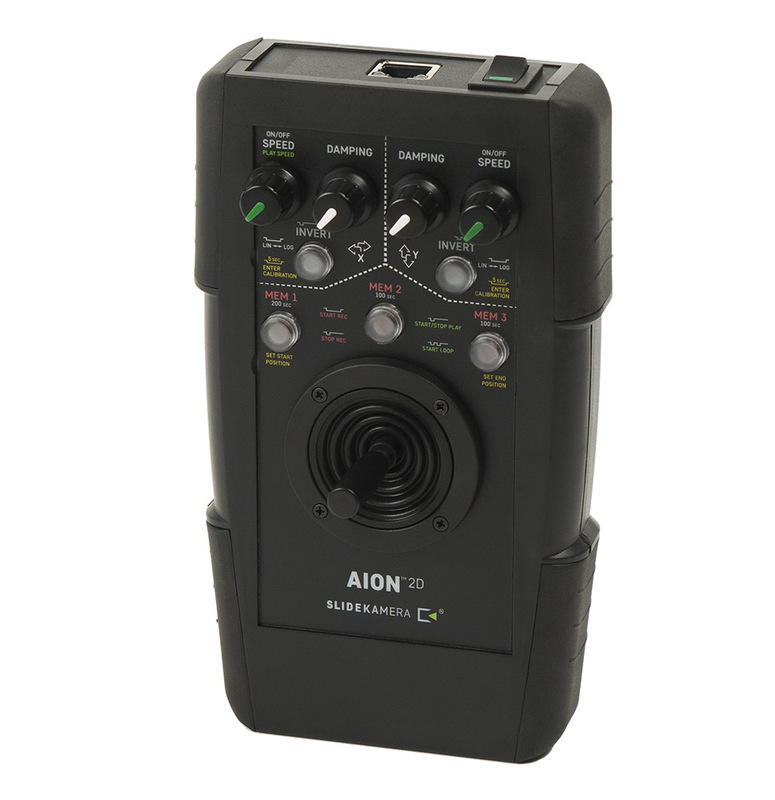 Compact and cased construction ensures long and problem-free operating. 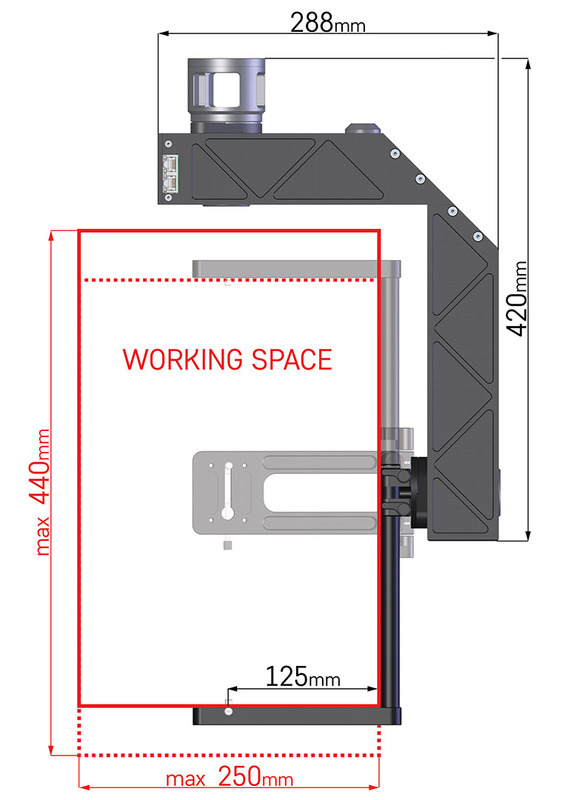 Maximum dimensions of the camera to achieve full 360o vertical rotation are: length 440mm, width 250mm. Mounting bracket moves up and down, allowing to the set the accessories in the rotation axis of the head. Four adjustable clamping levers facilitate rigid mounting of the mounting bracket. Mounting slot allows to move the accessories forward and backward. 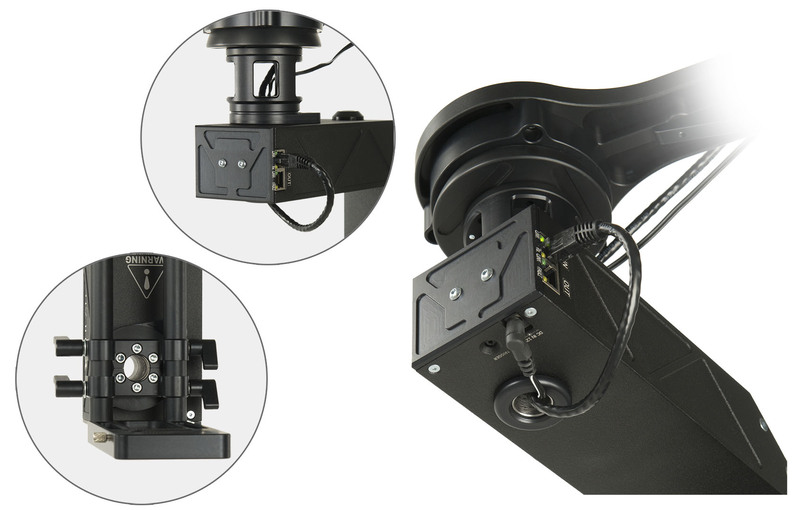 Accessories are mounted on the mounting bracket with the use of 1/4" or 3/8" screws. To improve the stability of heavier cameras and to increase the balance range, you can use quick release system Adapter AKC-3 with a long sliding plate AK-101 LONG. X HEAD base is equipped with holes that allow to lead steering cables through X and Y rotation axis, thus allowing to achieve full rotation in both axes. 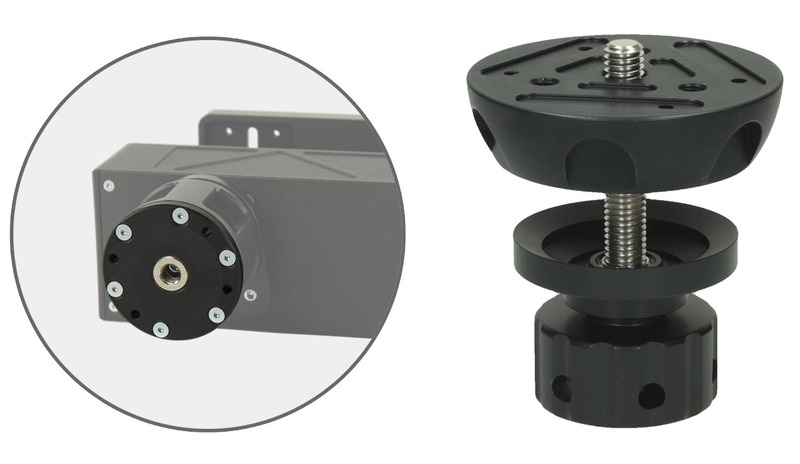 3/8" hole in the head base allows to mount it on other devices equipped with 3/8" screw, such as camera cranes, tripods. Four ⌀4,2mm holes (Manfrotto spacing) allow to mount X HEAD head directly on 75mm or 100mm half ball equipped with four M4 holes. 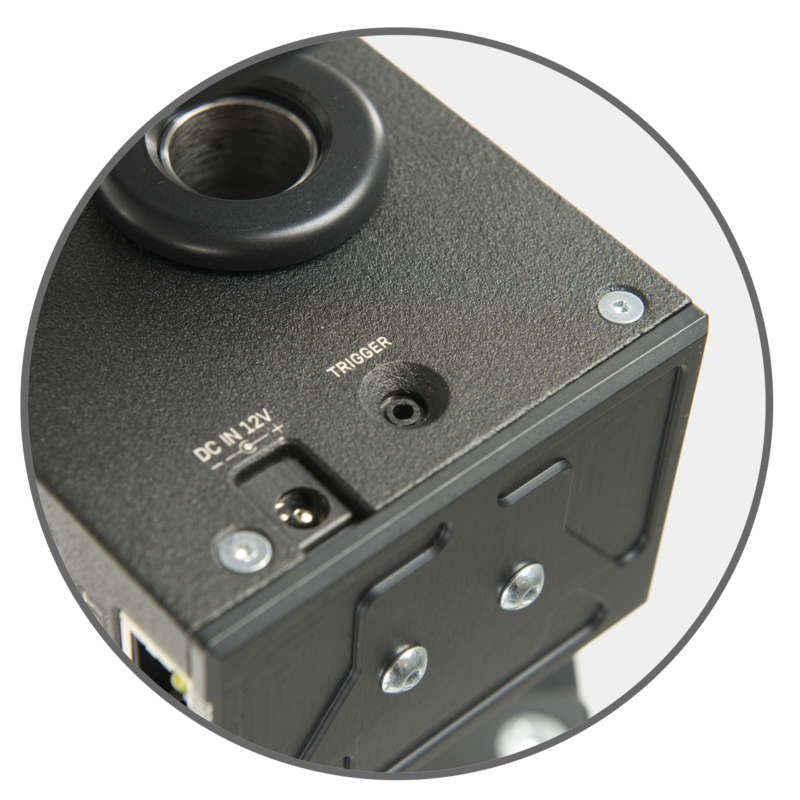 X HEAD is equipped with a TRIGGER socket to connect our device with a photo camera using a proper shutter WS cable release, thus allowing for interval shots synchronized with a slow movement of the head. Creation is easier than before! 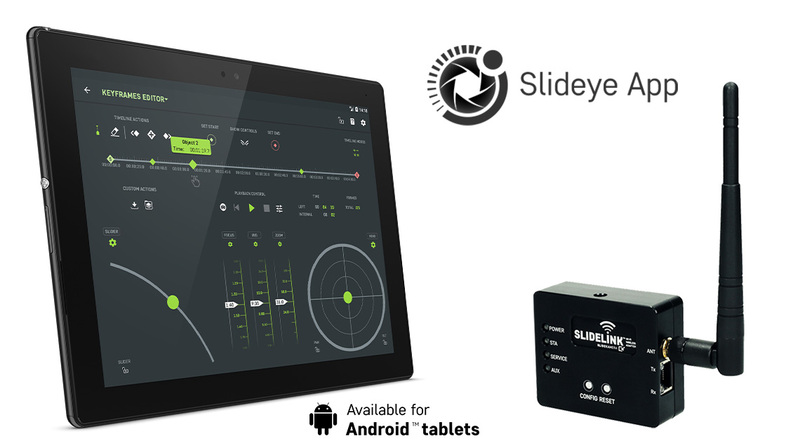 Users who prefer mobile and wireless solutions can controlling X HEAD using Android tablet. 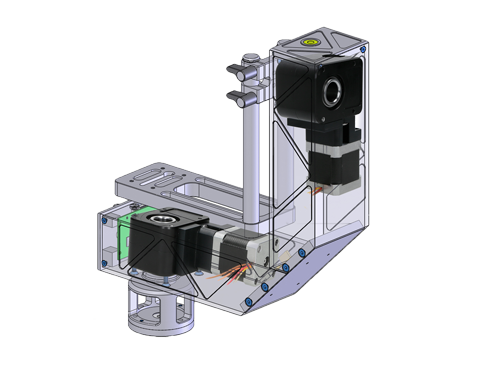 Application: evice designed to achieve precise rotation of the camera or photo camera in X-axis and Y-axis.